Well, I guess most collector’s don’t know that Albert Einstein held a German “Ministerialpass” (Departmental Passport). I was discovering this fact while investigating on another Ministerialpass. 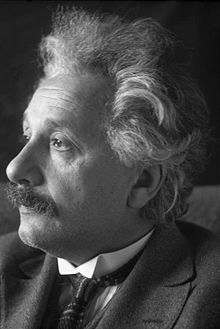 His passport is dated 11/18/1930 and issued for Einstein as member of the International Commission for Intellectual Cooperation of the League of Nations by the German Foreign Office. Total of 32 pages, 9 of them are specified or stamped. I found this information at the “Einstein Archives Online” in Jerusalem. So I contacted the archive asking if I could get a scan of this interesting document. Unfortunately my request was denied as the archive has the concern it could be used in the “wrong way”. I do understand their concern and respect their decision. At least I could get the story behind the passport which is interesting. “Einstein owes his German Departmental Passport to a petty-minded Swiss official who did not get over the fact that Germany sort of outsmarted the Swiss ambassador when the Nobel Committee raised the question who was to receive the Nobel Prize on behalf of the absent Einstein. So persuasively did the German representative argue that Einstein was a German citizen and the honor, therefore, would be his, that the Swiss ambassador did not even dare to challenge him. When the Foreign Office in Berlin realized that the brisk assertion was actually baseless, the state secretary offered a way out of the embarrassing situation by imposing the German nationality on Einstein, retroactively, as a precondition of his Berlin professorship. For quite some time, though, Einstein still used to travel on his Swiss passport and though, abroad, he was usually received as the Berlin professor, at least he did not introduce himself as a German citizen. The early 1920s are the years of more and more frequent trips abroad, among them many on behalf of the League of Nations. With the objective of eluding the tiresome and time-consuming border control, Einstein requested a diplomatic passport from the Swiss authorities. Yet the above mentioned Swiss official, offended in the name of his country, was not willing to acknowledge this German celebrity as a Swiss diplomat. Now the Germans jumped at the chance. Within a few days they provided Einstein with a German diplomatic passport thus producing evidence that they knew how to prove themselves worthy of this Berlin gem. This happened in early 1925. Next Next post: The Last Nazi-Germany Passport?